We said the same thing about Mo, who was way more productive at this point. Just because that did not work out does not mean this wont. I'm not 100% against keeping him, but it just depends on the price. He isn't worth a top end contract at the moment. Donald was drafted in 2014, enters next season 28 years old. Williams was drafted in 2015, enters next season 25 years old. Williams is still extremely young, the sky is still the limit for him, and should be around for a long time. The contract for one year does not really matter frankly. We have plenty of cap space still. If we signed him to that annual salary for 4-7 years I would agree. I agree with this. I will say that I'm 99% sure Williams never turns out to be Donald. But that doesn't mean he cant be good. For me I am one who criticized him. And I will continue to (if he doesn't improve). I was only pro fielding offers for him if it got us back a 1st Rounder and we were staying in the 3-4. He wont get us a 1st Rounder and we switched to a 4-3. Therefore I for sure want him to stay. If I were Leo though... I'd be working on losing weight and adding quickness and explosiveness this whole offseason. Will make him way more lethal. He's not just a run stuffer anymore in a 4-3. He should be sacking the QB (not just hurrying the QB like he has in the past). I just find it funny that people want to move your best DL guy who is not even 25 yet for a pick. Come on guys you are all wanting talent and when you have it you want to let it go. Don't you think at some point you should start to collect talent intend of draft picks. Once Leo signs his contract before the season starts we can put all this to bed. I was at the game week 17 at the Pats and he came out to warm up on fire. Yelling screaming. I stood up (5 rows back from end zone) and yelled "Leo". 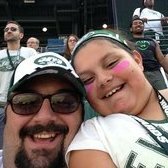 I had my Darnold jersey on and he looked up at me pointed at me yelling and banging his head. The man has energy and excitement no matter where he is. You want guys like this around. EVERY game I seen him play he was at LDE, and I saw every Jet game. Who every said hw was a 20 sack man a year. If he played DT he would give us pressure up the middle that we have been lacking for years. Moving from DE to DT is far more than a slight scheme change. Our defensive has not been able to get to the QB since Rex Ryan left. We couldn’t even get to the QB WITH Rex, we just got pressure. Donnie Henderson’s D was the last time was had sack artists. Sad. Side note, LOVED Donnie H.
Are you forgetting Scott & Pace & Mo ? Pace was trash, good edge setter but had his best pass rushing year for us under Bowles, Mo was at just beat Under Bowles and Bart was a good Blitzer up the middle wouldn’t call him a pass rusher.